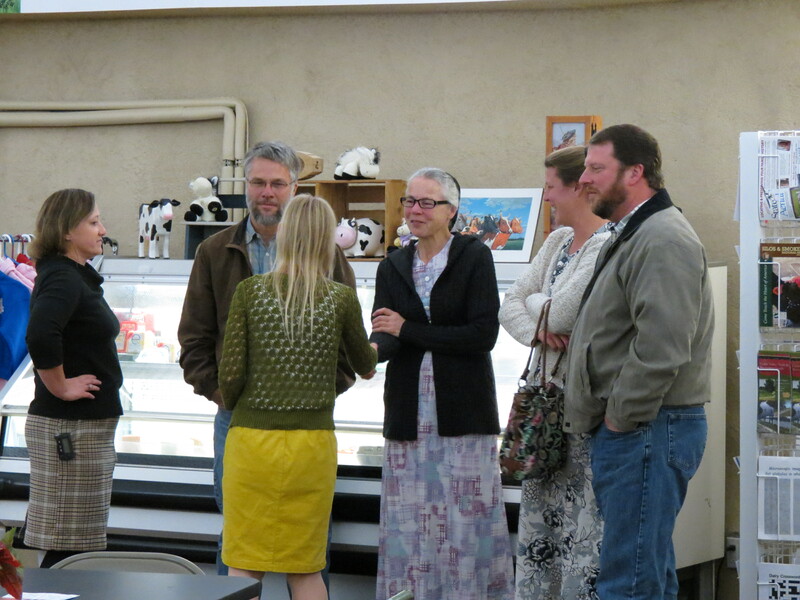 This Friday Hansen’s hosted the annual Northern Iowa Food and Farm Partnership (NIFFP) meeting, and their Farm to School event. 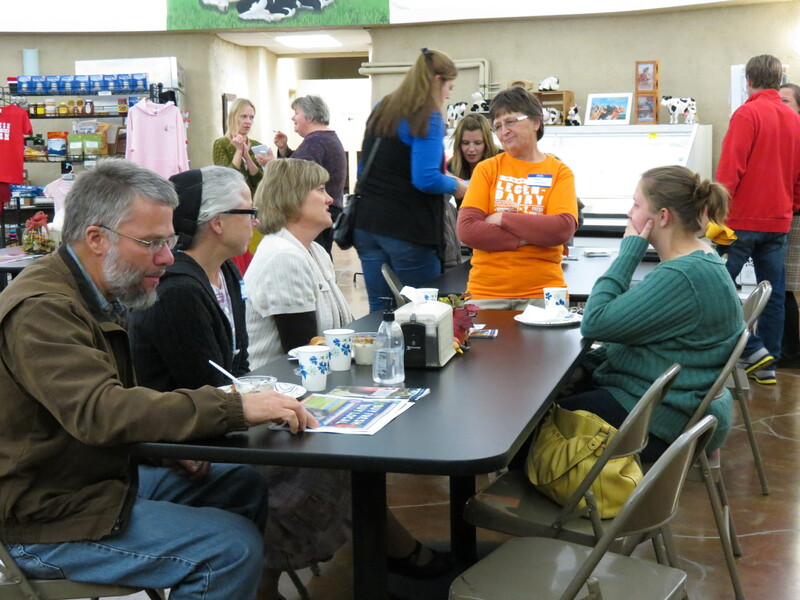 From 5 to 7 on Friday evening, local residents interested in the NIFFP and Farm to School could come for some good food, conversation, and information. It was a really fun evening, and everyone learned something. The NIFFP folks shared information about what they’re up to. 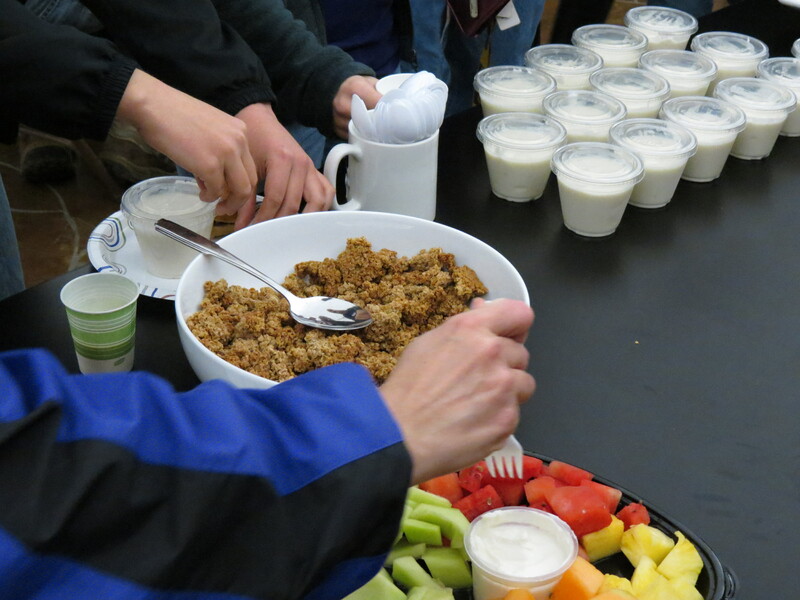 Aaron and Neo, the local Food Corps volunteers, shared about their experiences working with kids in Waterloo. Rob and Tammy Faux, from Genuine Faux Farm in Tripoli, told us about their CSA and their farm. The folks from Cedar Falls Blue Zones were also there to get people signed up and share information about their work in the area. 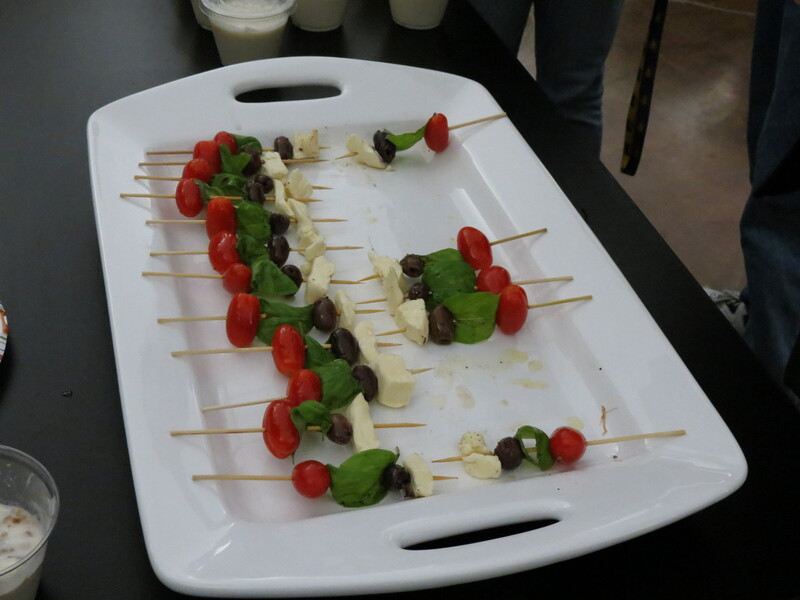 The food was fantastic: Barbecue pork sliders from Pat McCready, yogurt parfaits with vanilla yogurt from Country View Dairy (yes, it’s available in our stores), and marinated veggie skewers with cherry tomatoes, basil leaves, kalamata olives, and Hansen’s cheese curds. 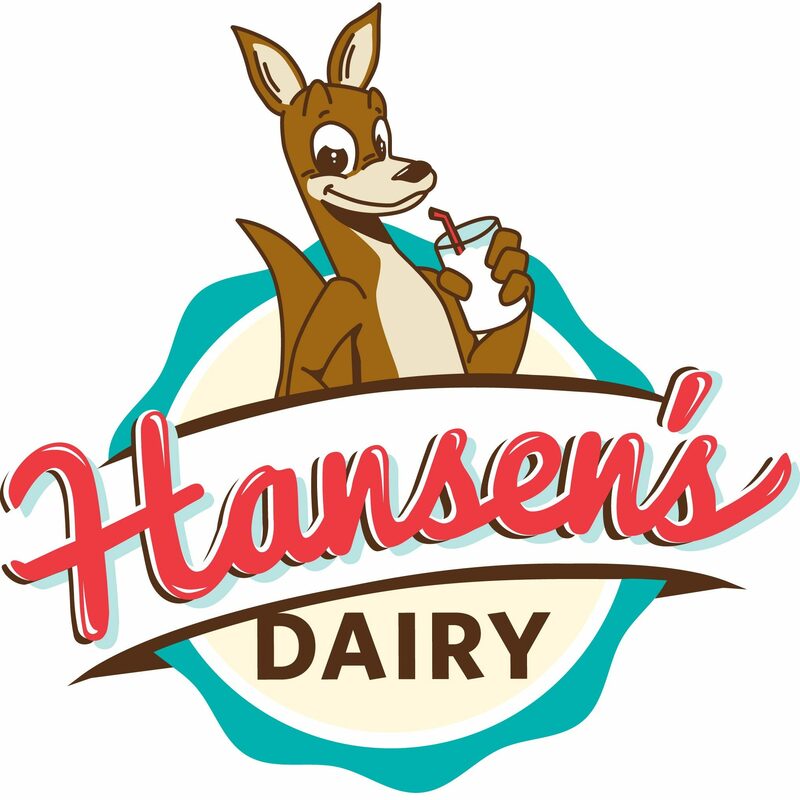 Previous postWhat’s it like to live on the Hansen Dairy farm?